The city of Lillestrøm is centrally located in the Oslo region, one the fastest growing regions of Europe. It is the third most frequented public transportation hub in Norway, located between Oslo Central Station and the Oslo airport. This position has made the city a preferred home to commuters, which is the main reason for the city’s exponential growth in the recent years. 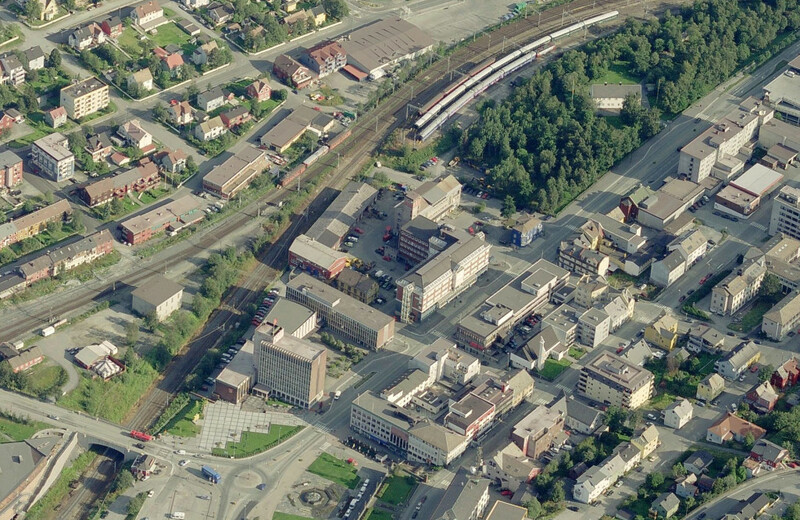 Lillestrøm is however underperforming in the development of the Oslo region. It can grow more, catering to a significantly larger part of the estimated regional need for housing. But Lillestrøm wants to grow smart, avoiding the faith of becoming a sleeping town to the capital. As such, the city wants to discuss a strategic development that not only plans for more housing, but more importantly contributes to a diverse city profile. 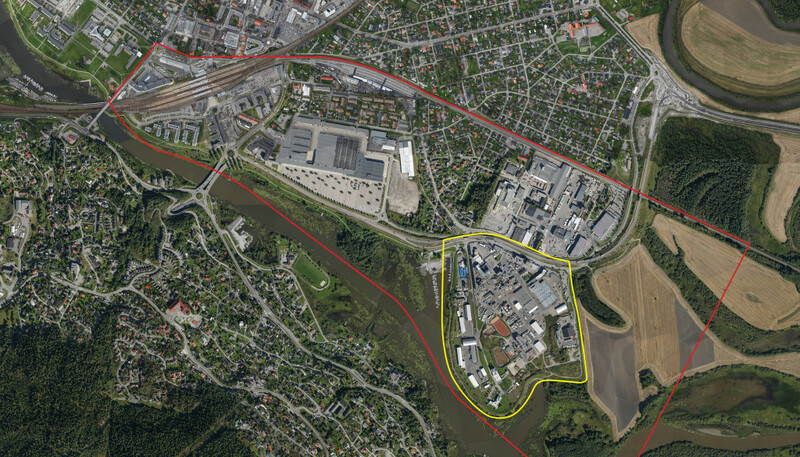 The Europan Project Site, the industrial area of Nesa is a strategic area in the urban development in Lillestrøm, and a transformation of the site is bound to happen. 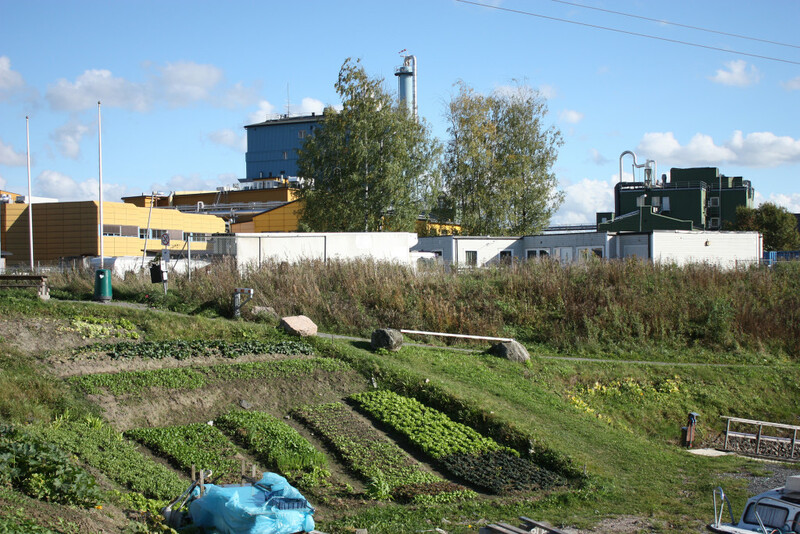 The agenda for both city and site owners is to create a vision for Nesa as a productive, mixed-use urban area that is integrated in the landscape, Lillestrøm and the region. Lillestrøm has a lot of construction activities as a densification of the most central areas next to the station is under way. 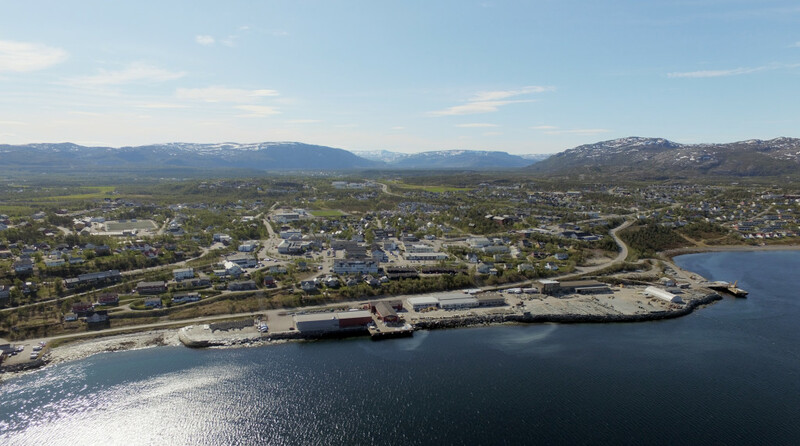 Within the areas of which the city considers to expand is Nesa, a peninsula located between the nature reserve Sørumsneset, the river Nitelva, and the city center. Recent changes in ownership have opened a discussion for a new direction for the area. 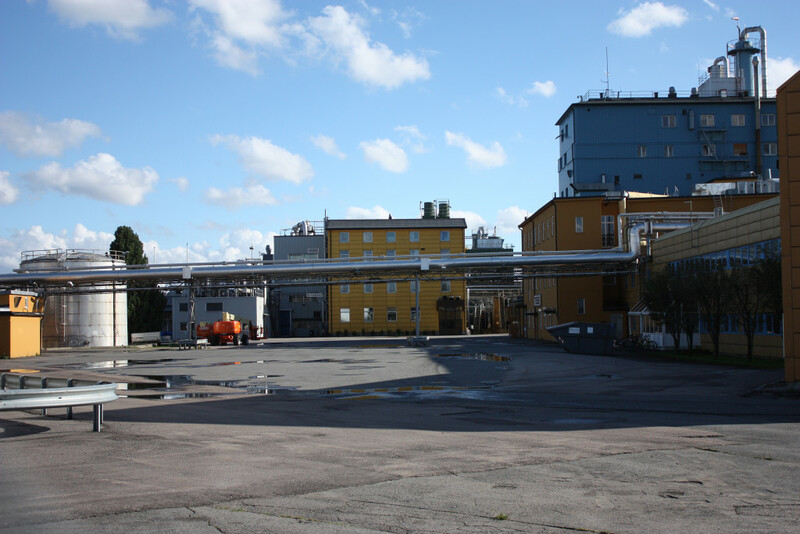 The core industrial activity, a wood adhesives factory with chemical production, represents a hazard its surroundings and is not compatible with urban development. The premise for a coming development is therefore its relocation. The question is how remaining and new production can still be a part of the future of Nesa in concert with housing and public functions. And hence contribute to the ambition of Lillestrøm being a multifunctional city. The site is comprised by entities of various businesses. The main stakeholder is the wood adhesives factory Dynea, which has the largest portion of land at the site. Other businesses involve a pharmaceutical company, an electrical wholesaler and a hardware shop. Due to the presence of industrial activity over long time, areas of contaminated soil have been detected at the site. Traits of current activities also features measurements of security; fences are present features at the site today. Another measurement is the flood embankment surrounding the site. 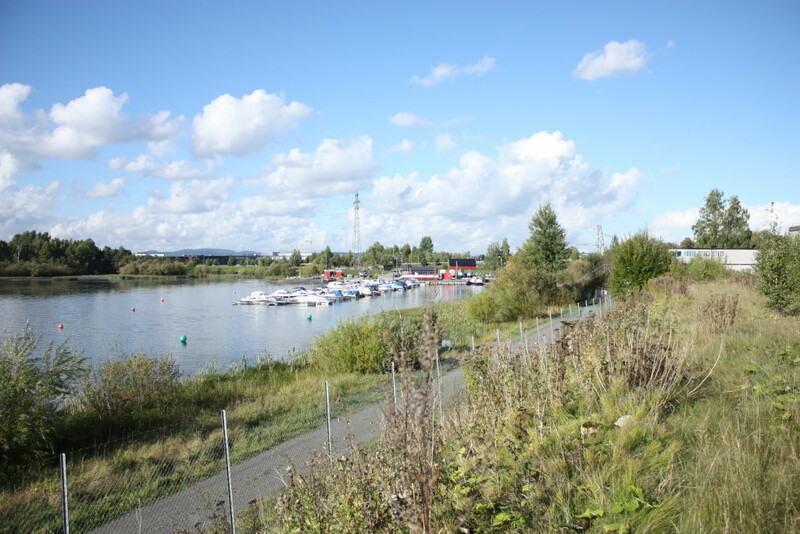 Nesa neighbors the nature reserve Sørumneset, a distinctive wetland with meandering oxbow lakes. Norway Trade Fairs is located between Nesa and the city center, currently it’s being evaluated for a transformation to urbanize the area. Today the building complex is considered as an obstacle between Nesa and the city centre. The train station is situated 1500 meters away from Nesa. 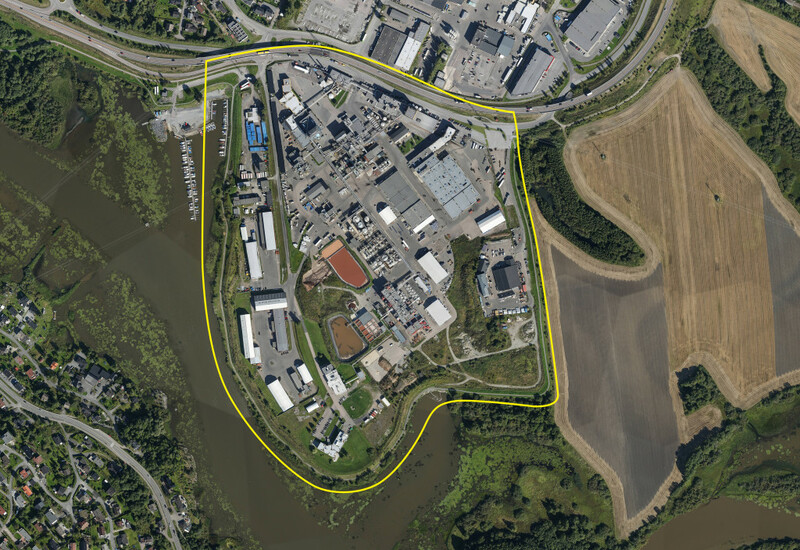 In the history of establishements of industries along the river in Lillestrøm, the industrial area of Nesa represents the last one of its kind. In a strategy for transformation, the masterplan needs to deal with Nesa in a scenario where the Dynea factory is relocated. In the future, Nesa should inherit an identity that combines living and production in a new synergetic totality – a mix of functions and typologies. Is it possible to create a strategy where both short-term and long-term programs can contribute in making the new Nesa? Is it possible, through new typologies and co-locations, to have housing and production co-exist? Is it possible to develop an urban productive field that safeguards the natural surroundings of Nesa? What synergies between landscape, nature, production and living can unfold? And how can the Nesa area better be connected to the central areas of Lillestrøm? Europan is the tool to open for investigations on the area’s future, and to create a new vision where Nesa is positioned in the greater urban development area of Lillestrøm and the region. You are hereby invited into that process!